If you’ve been a frequent reader of this website for the last few months, you’re likely aware that Apple is getting ready to release iOS 5, the next version of its mobile operating system. After months of uncertainty, it now seems that there is at least one team which is actively working on an untethered jailbreak for iOS 5. This revelation was made in a tweet by @pod2g, one of the members of the iOS hacking group Chronic-Dev Team, authors of tools such as GreenPois0n, confirming that the team was alive and well and working on breaking into iOS 5. As you might recall, current versions of iOS 5, dating all the way back to Beta 1, could only be jailbroken using the so-called "tethered" methods, such as Redsn0w or Sn0wbreeze. Tethered jailbreaks are similar to untethered ones as far as features go, except for a big difference: tethered jailbreaks require the jailbroken device to be plugged into a computer running Rednsn0w every time it’s powered on or rebooted, in order to launch iOS into a jailbroken state. While this process takes just a few minutes, it can be rather inconvenient, especially for users who are often on the road. As with any "announcement" of this kind, no release timeframe was given, yet we will likely see an untethered jailbreak method once the final version of iOS 5 is released to the public, which could anytime between later this month to early next month. 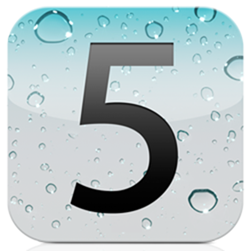 iOS 5 is the next generation of Apple’s operating system that runs on the iPod touch, iPhone and iPad. First introduced and thoroughly showed off at this year’s WWDC back in June, iOS contains many new features, such as a revamped notification system known as Notification Center and system-wide Twitter integration. According to rumors, iOS 5 will be released around the same time frame as the next iPhone, currently known as the iPhone 5.